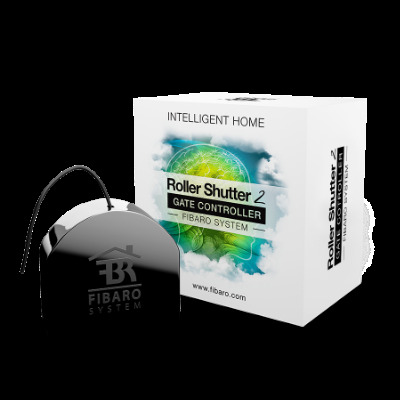 FIBARO Roller Shutter 2 is the perfect companion for controlling electric garage doors, gates, roller blinds awnings or venetian blinds. It has advanced calibration for perfect control. It can basicly control any device powered by an AC electric motor. FIBARO Roller Shutter 2 has energy monitoring built-in which allows you to monitor the energy used by connected devices. Z-Wave Plus Certified. Z-Wave Plus (5th Generation Z-Wave) offers a lot of new features including increased range, extended battery life and Over The Air upgrading (OTA).